The iPhone 6 will enter production next month, according to reports published by Bloomberg. Apple has reportedly given the go ahead for its manufacturing partners in the Far East to begin producing two models of the iPhone 6. Apple is expected to unveil its next smartphone in September. The two models will come with screens measuring 4.7-inches and 5.5-inches respectively. Bloomberg's report confirms many of the rumours we've been hearing on and off for the last six months. Sources told the news agency that Apple's decision to launch two iPhone models with larger screen sizes is part of a strategy to compete with rivals Samsung and HTC. Apple has long been rumoured to be planning to launch two iPhone 6 models; both larger than the current iPhone 5S. However, rumours that emerged earlier on in the year suggested that Apple would delay the launch of the larger 5.5-inch model until 2015 due to battery problems. Those issues now seem to have been resolved – sort of. 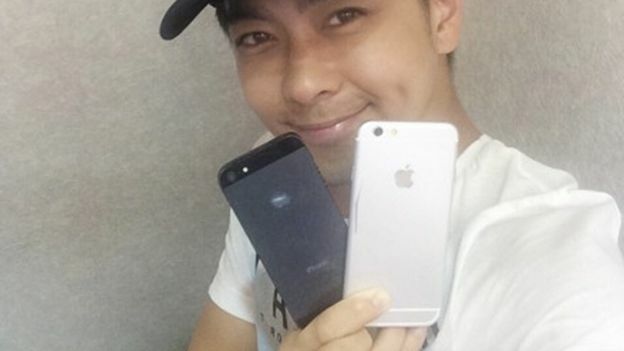 News out of Taiwan earlier this month suggests that Apple expects to sell 80 million iPhone 6 handsets this year. Sources speaking to Economic Daily said that only ten per cent of those 80 million iPhone 6 smartphones are expected to be the larger model.